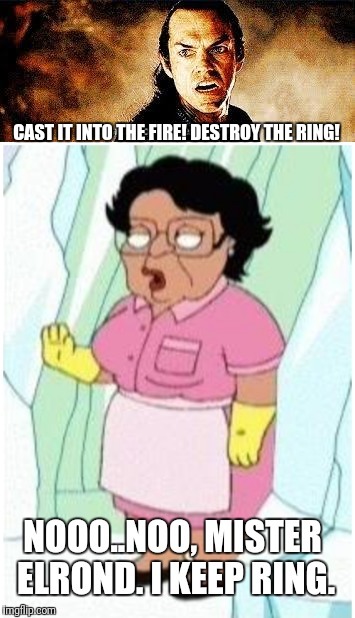 CAST IT INTO THE FIRE! 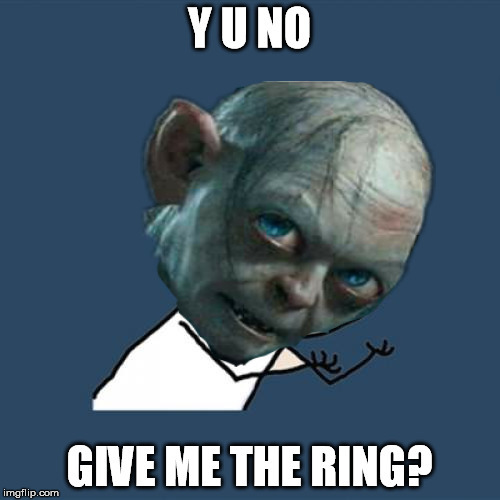 DESTROY THE RING! NOOO..NOO, MISTER ELROND. I KEEP RING.